The Latest in Celebrity News, Red Carpet Moments, Viral Videos and Breaking Celeb Rumors! : LIL WAYNE WAS NOT DENIED A UK VISA! LIL WAYNE WAS NOT DENIED A UK VISA! A report that Lil Wayne has been banned from touring the UK and Europe is false, his rep has said. 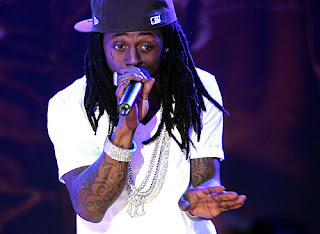 Reports had claimed that Weezy’s British visa was denied due to his criminal record. The 'Motivational' rapper spent eight months in prison last year on weapons charges. But now a spokesperson for the Young Money boss has told our US Team that the star is yet to file a visa application, as no UK dates are confirmed as yet. “No visa was ever filed, nor were there any tour dates announced or tickets sold,” Weezy’s tour rep said. When Wayne does apply for a UK visa, he is likely to have a battle on his hands as British immigration officials don’t look kindly on criminal convictions. Snoop Dogg was banned from entering the country in 2007 due to drugs and weapons charges and was forced to cancel European tour dates. However, the ban was eventually overturned and he performed at last year’s Glastonbury Festival.